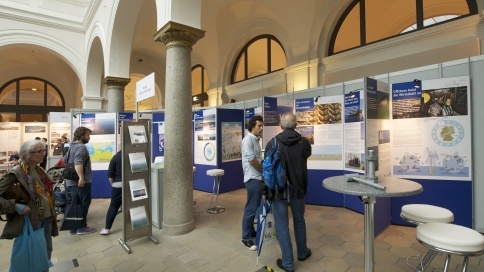 Mobile Touring Exhibition: "Fascination Offshore - Wind from the Sea for New Energy on Land"
Starting with the use of offshore wind energy, a new era in renewable energy production has begun. In the future, wind farms in the North Sea and the Baltic Sea will increasingly make an important contribution to climate-friendly energy supply in Germany. 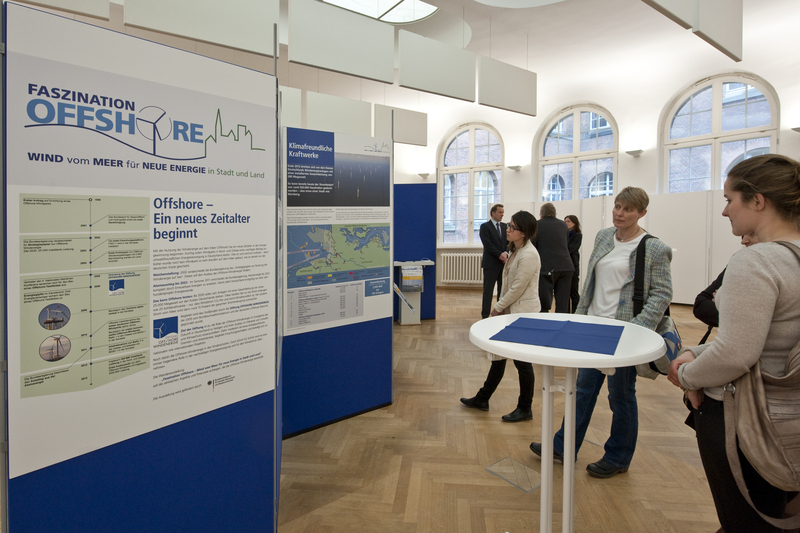 The first German offshore wind farm in the North Sea, alpha ventus, was put into operation in 2010. 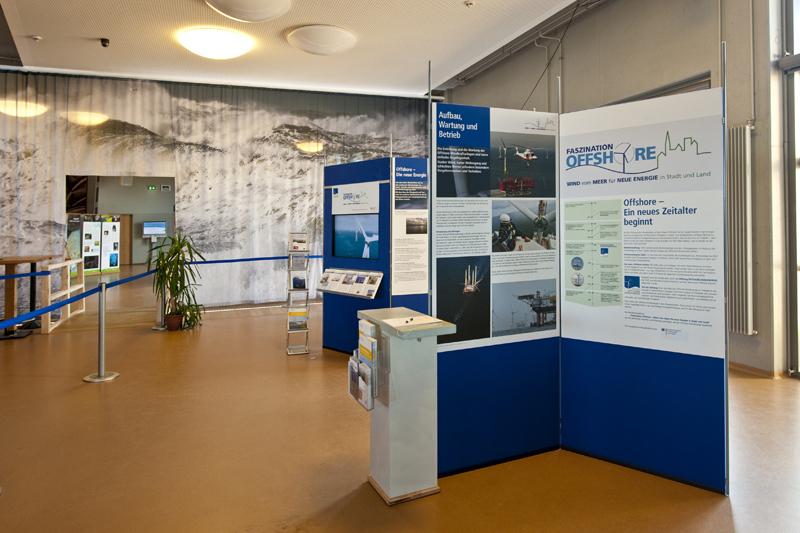 Only one year later, Baltic 1 launched as the first wind farm in the Baltic Sea. 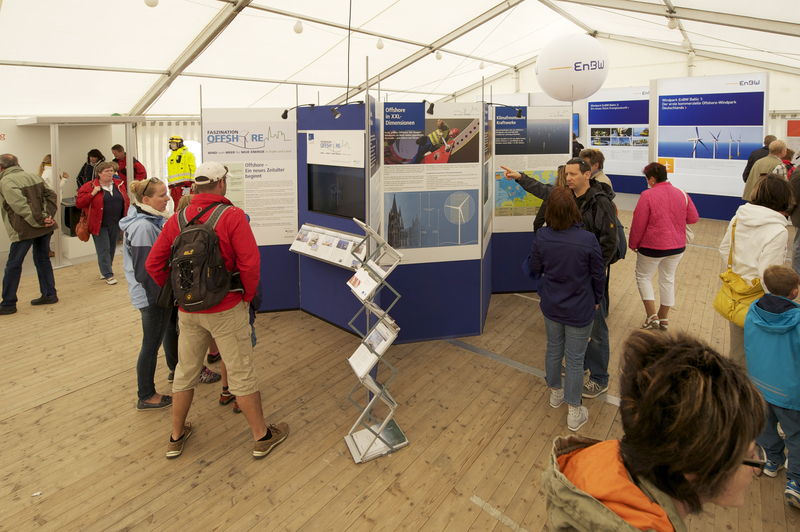 At present, there are 835 wind turbines with a total output of around 3.6 GW in the North Sea and the Baltic Sea. But what does offshore actually mean? How many wind parks are being built? And how is the energy transported to the shore? 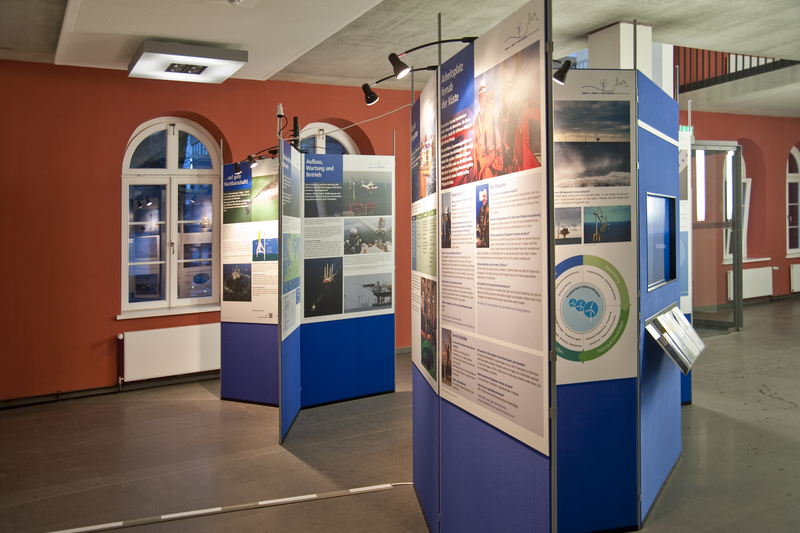 These and other questions were discussed in the mobile touring exhibition “Fascination Offshore”. 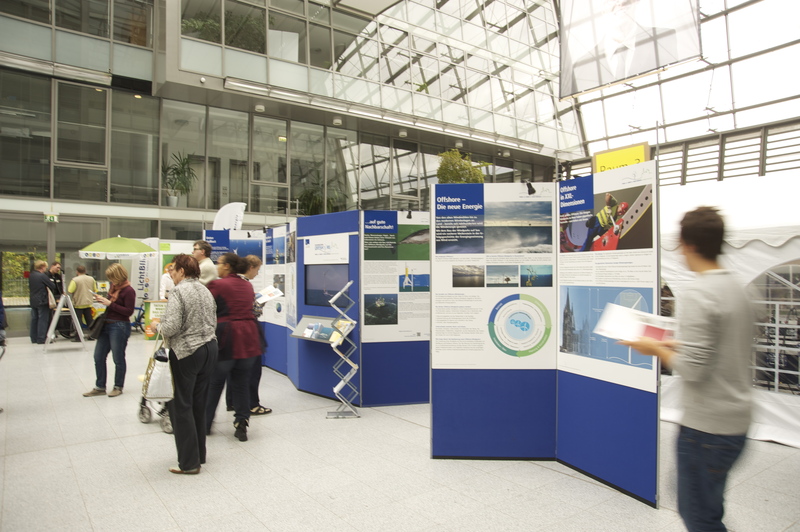 For example, the current milestones of the German offshore wind energy, the functions and dimensions of a wind turbine and the various professions offered by the offshore wind industry were explained. 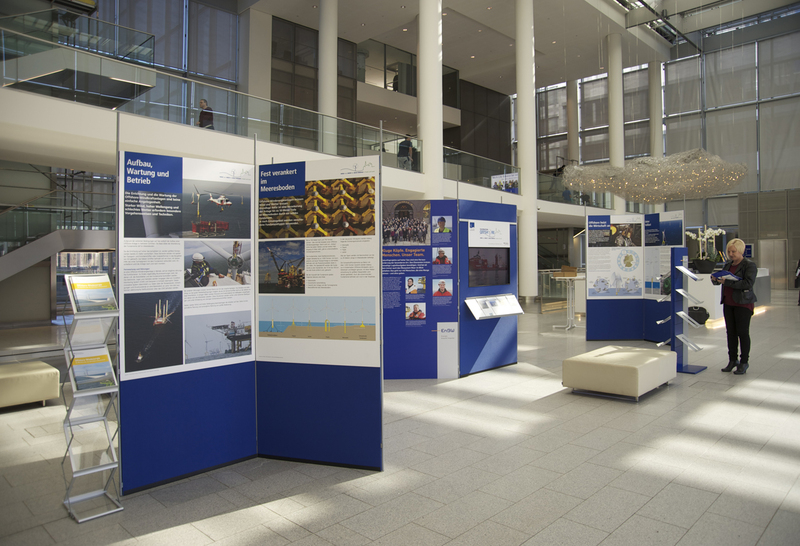 In addition, two short films and an information terminal provided further insights into the construction and operation of wind parks at sea as well as possible occupations in the industry. 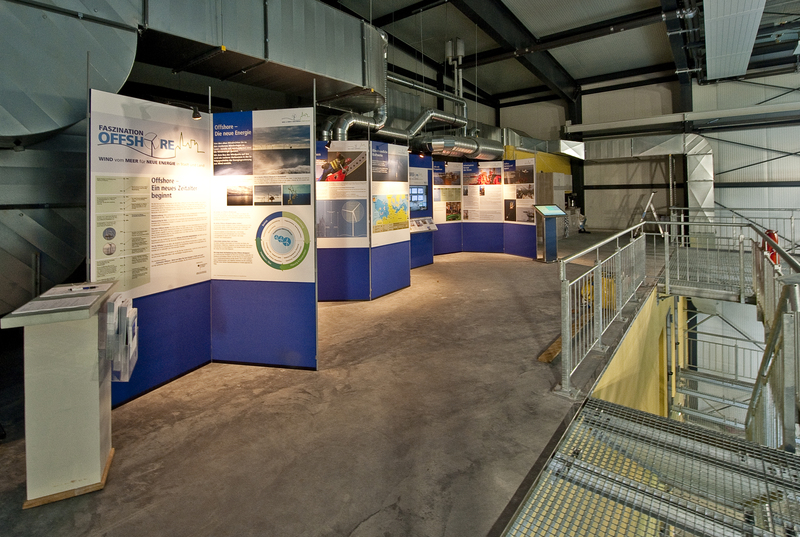 The purpose of the mobile touring exhibition was to provide information about the topic of offshore wind energy and to promote its acceptance as a source of clean energy. 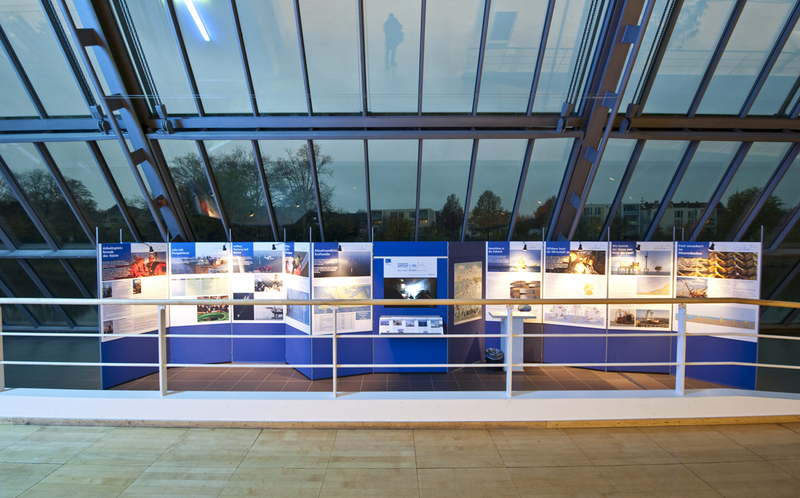 The touring exhibition was a project of the German Offshore Wind Energy Foundation which was supported by the Federal Ministry of Economic Affairs and Energy between 1 June 2012 and 31 December 2014.